At a glimpse they may look like some pretty sharp photos, but actually all those pictures are hand drawn with a humble Bic ballpoint pen! Can you believe that? Human eye can be fooled so easily! 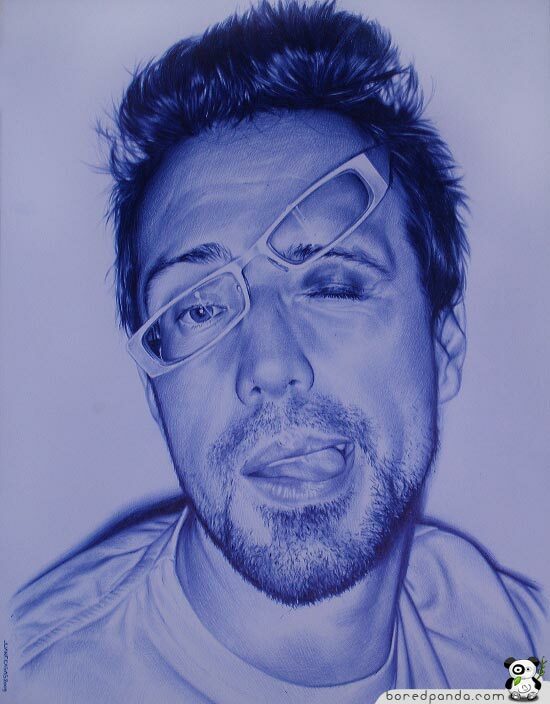 Spanish artist Juan Francisco Casas, who’s probably 33 at the time of writing this, uses up to four 14p ballpoint pens to create his stunningly photorealistic drawings, measuring up to 10ft (3 meters) high. 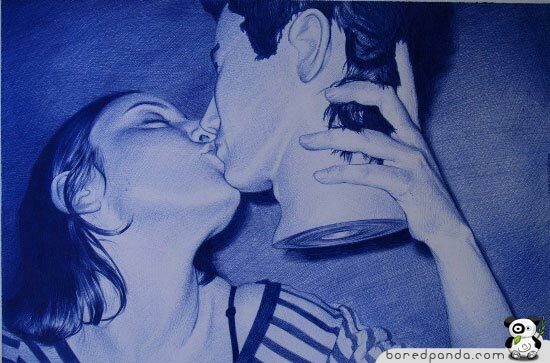 The use of penballs makes his drawings even more peculiar, which certainly has played a big role in his way to success. Juan’s source of inspiration comes from his own photographs of nights out with his friends, and his works are already a sell-out at exhibitions. You can only imagine how wild his parties is, as half of his drawings include girls that forgot to put on their clothes. So, if you really want to feel bad about your pen doodles – have a look at these 25 Incredibly Photorealistic Drawings drawn with a humble BIC PEN. P.S don’t forget to visit juanfranciscocasas.com for more. 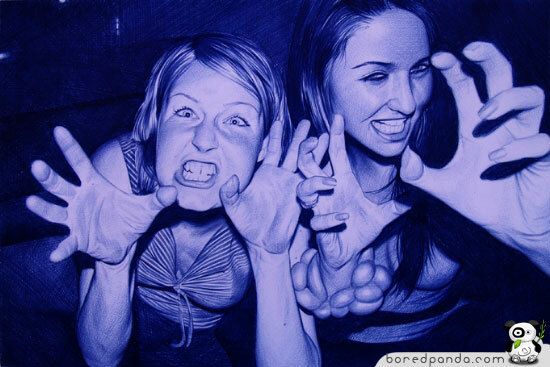 via 25 Photorealistic Pictures Drawn with a BIC Pen | Bored Panda.